Clean and Gone has made it’s name through working in high rise and other hard access environments. We are well drilled when it comes to working in hard access areas, and have the required know how and machinery to carry out works to regulation. 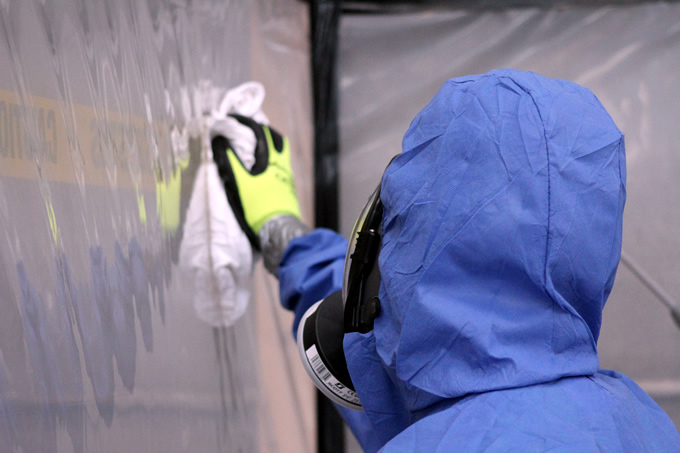 When it comes to safe Asbestos Removal, it is important to have a thorough understanding of correct Asbestos Removal methods, as well as the knowledge of logistics working around and transporting asbestos. This includes permits, working with loading docks, and understanding the nuances of working in the CBD and shared spaces. We currently sit on the Victorian Schools Building Authority, and are a preferred contractor for many of the city’s hospitals and main building contractors.